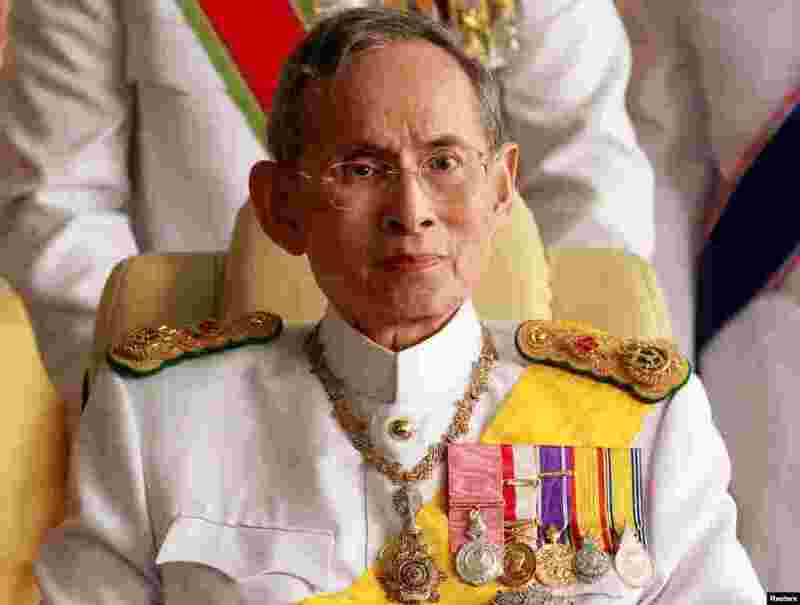 King Bhumibol Adulyadej was the world's longest-reigning and the country's revered monarch. 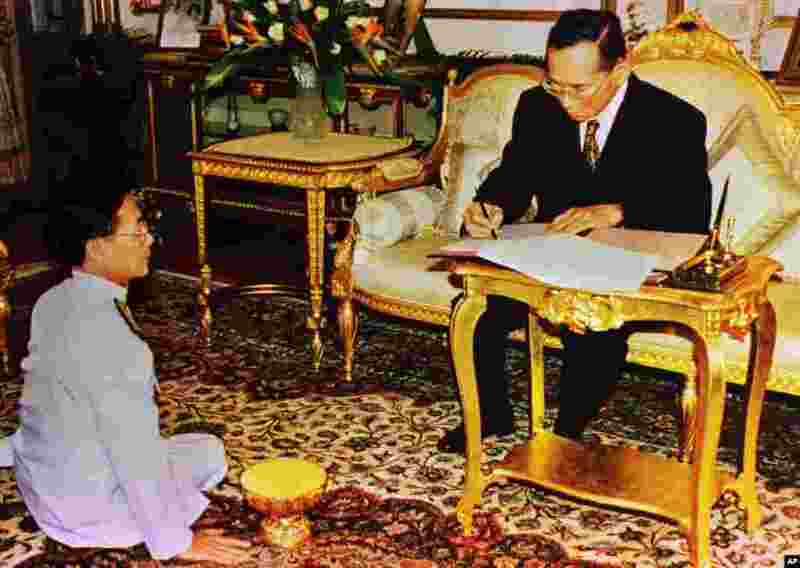 Bhumibol, a constitutional monarch with no formal political role, was widely regarded as Thailand's unifying figure. 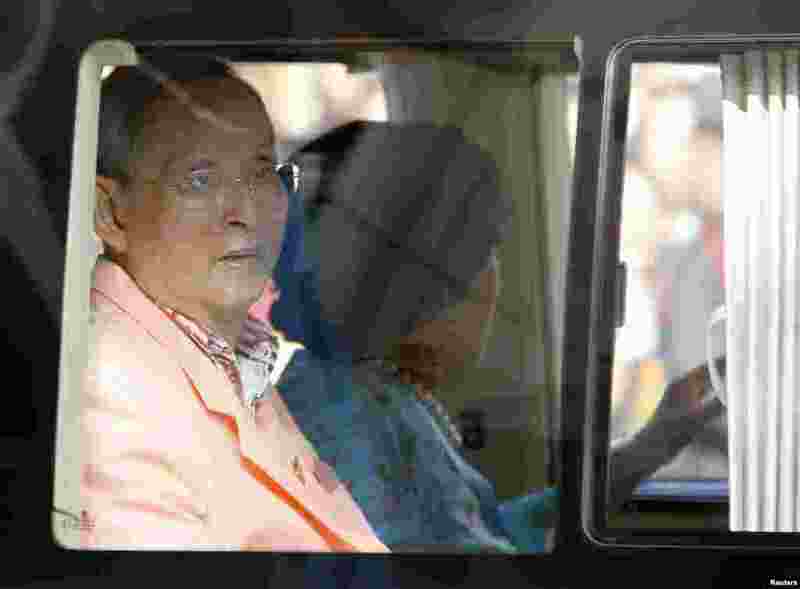 1 FILE - Thailand's King Bhumibol Adulyadej leaves the Siriraj Hospital for a ceremony at the Grand Palace in Bangkok. 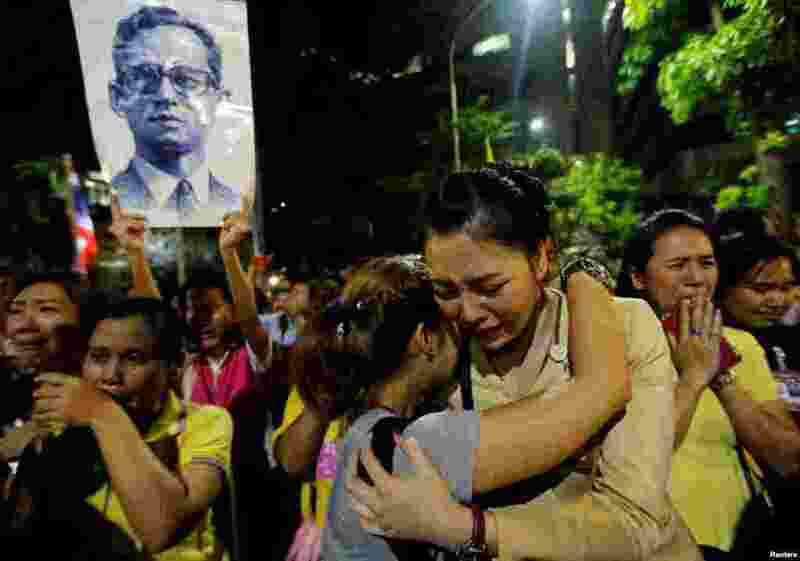 2 Well-wishers hug as they weep outside Thailand's King Bhumibol Adulyadej at the Siriraj hospital where he was residing in Bangkok, Thailand. 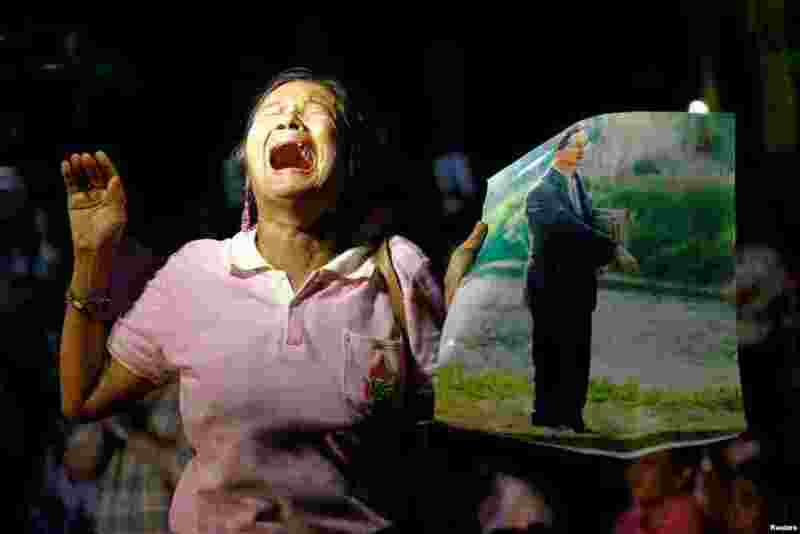 3 A woman weeps after an announcement that Thailand's King Bhumibol Adulyadej has died, at the Siriraj hospital in Bangkok, Thailand, Oct. 13, 2016. 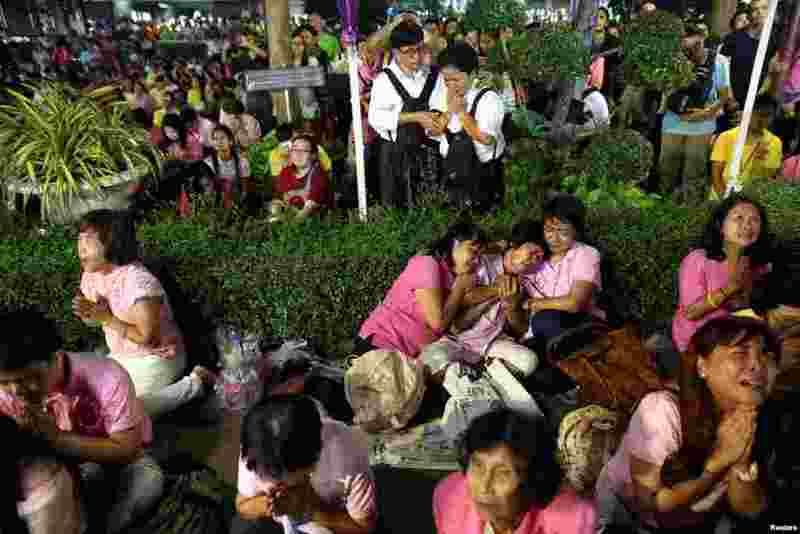 4 People weep after an announcement that Thailand's King Bhumibol Adulyadej has died, at the Siriraj hospital in Bangkok, Thailand, Oct. 13, 2016. 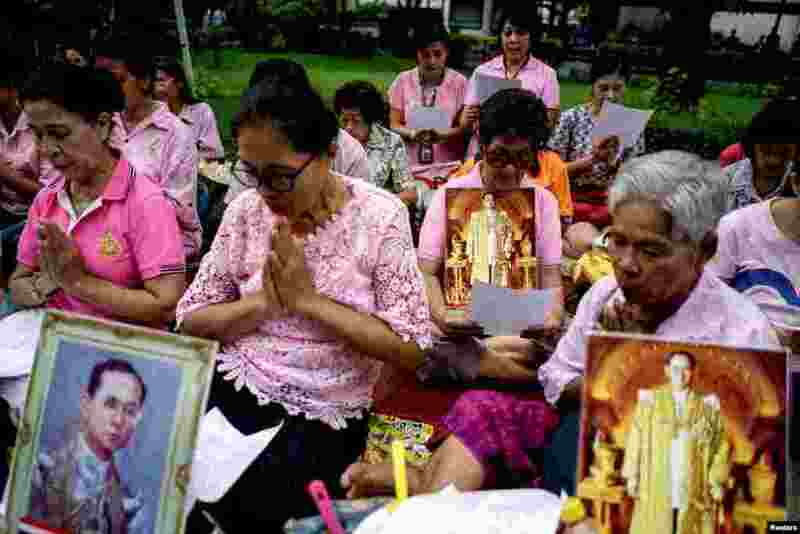 5 Well-wishers pray for King Bhumibol Adulyadej at the Siriraj hospital in Bangkok, where he is hospitalized, Oct. 12, 2016. 6 King Bhumibol Adulyadej and Queen Sirikit leave Siriraj hospital in Bangkok, Aug. 1, 2013. 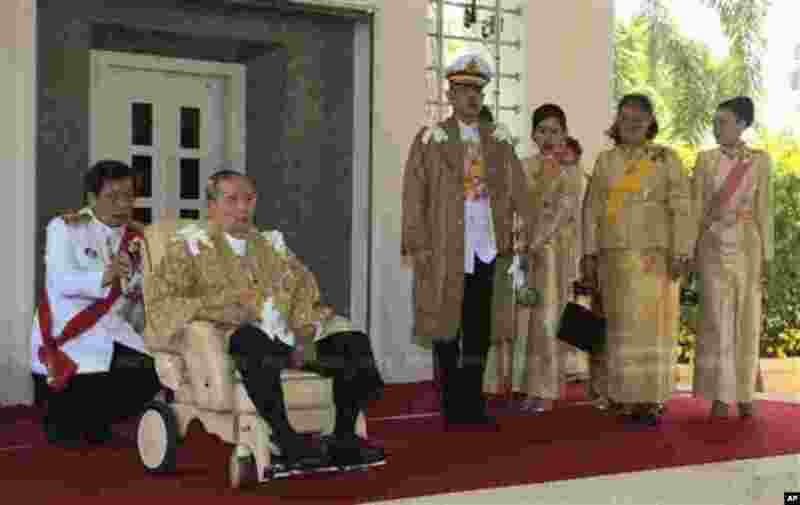 7 In this photo released by Thailand's Royal Household Bureau, Thai King Bhumibol Adulyadej, second from left, along with Crown Prince Vajiralongkorn, third from left, Princess Chulabhorn, Princess Sirindhorn, and Consort Princess Srirasm, right, arrive at Klai Kangwon Palace before a ceremony in celebration of the king's 86th birthday in Prachuap Khiri Khan province Thailand, Dec. 5, 2013. 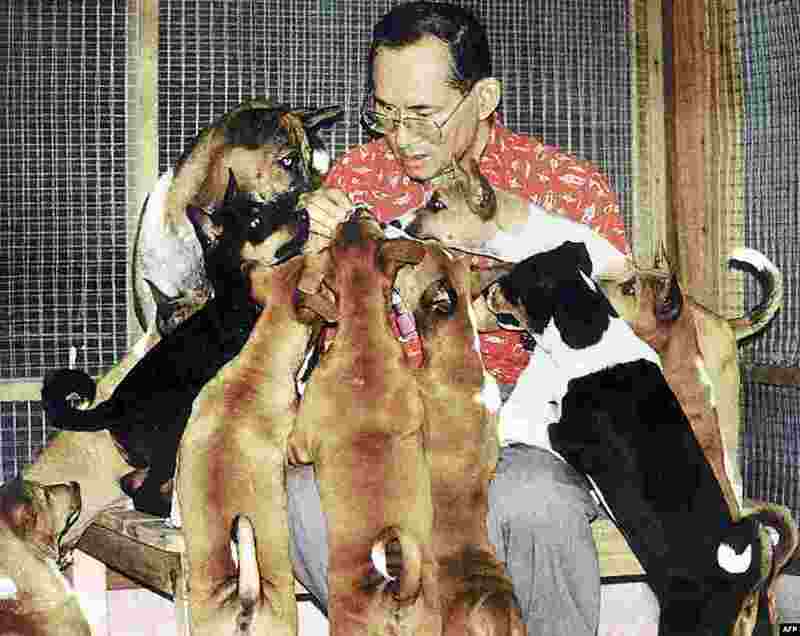 8 This undated handout photo received 26 Dec. 2002 shows Thai King Bhumibol Adulyadej and his dogs at the Royal Palace in Bangkok. The tale of a stray dog born that won the heart of the country's much-loved king has recently become the nation's latest publishing sensation. 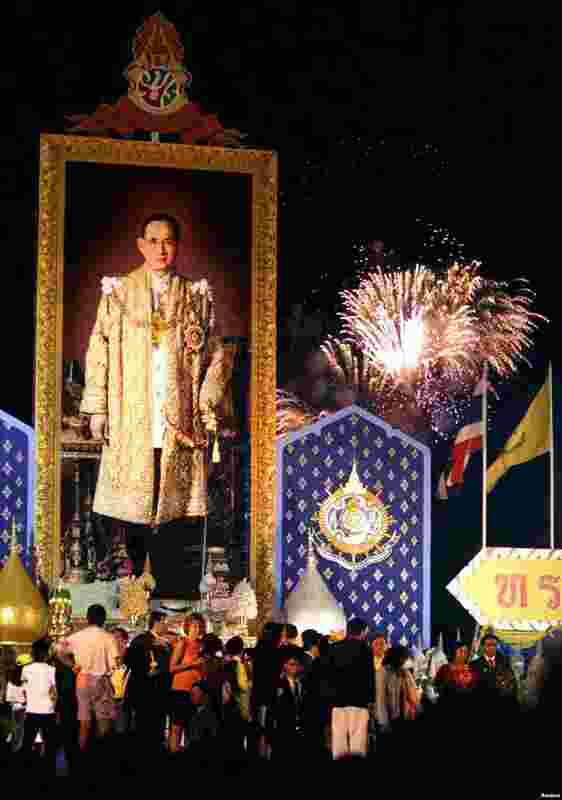 9 A portrait of Thailand's King Bhumibol Adulyadej (L) adorns a stage as fireworks explode over Bangkok, Dec. 5, 1999, in celebration of the king's 72nd birthday. 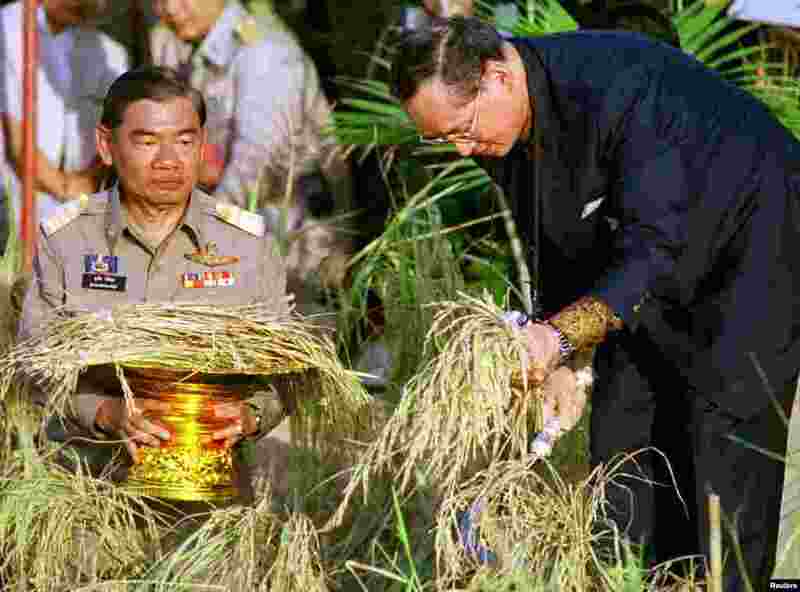 10 King Bhumibol Adulyadej (R) harvests rice at a project sponsored by the royal family in Prachinburi province about 100 kms east of Bangkok, Nov. 18, 1998. The 71-year-old king told local farmers that self-reliance would help them weather the country's most severe economic crisis in decades. 11 King Bhumibol Adulyadej grants an occasion to newly appointed Prime Minister Chuan Leekpai at the Royal Palace in Bangkok, Nov. 14, 1997. 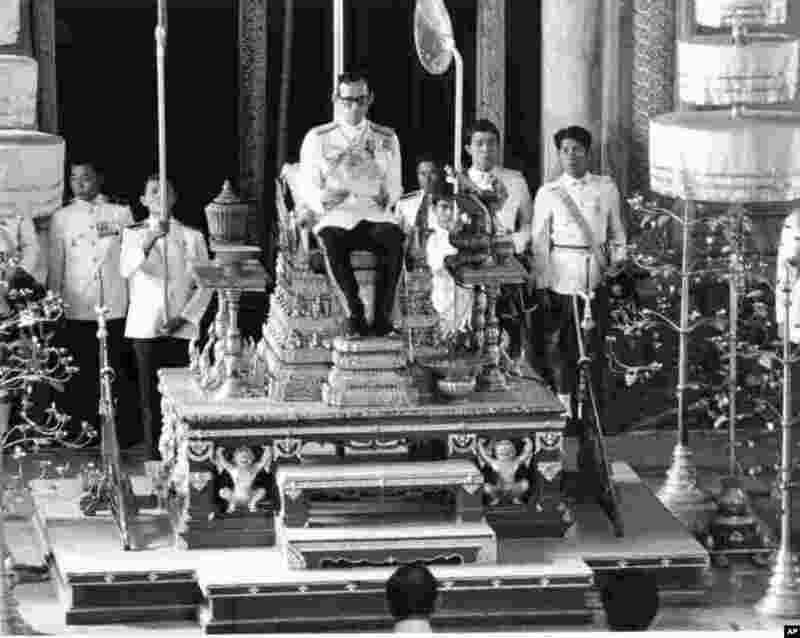 12 King Bhumibol convenes the first meeting of his country's National Reform Assembly in a ceremony held recently in Bangkok, Nov. 30, 1976. 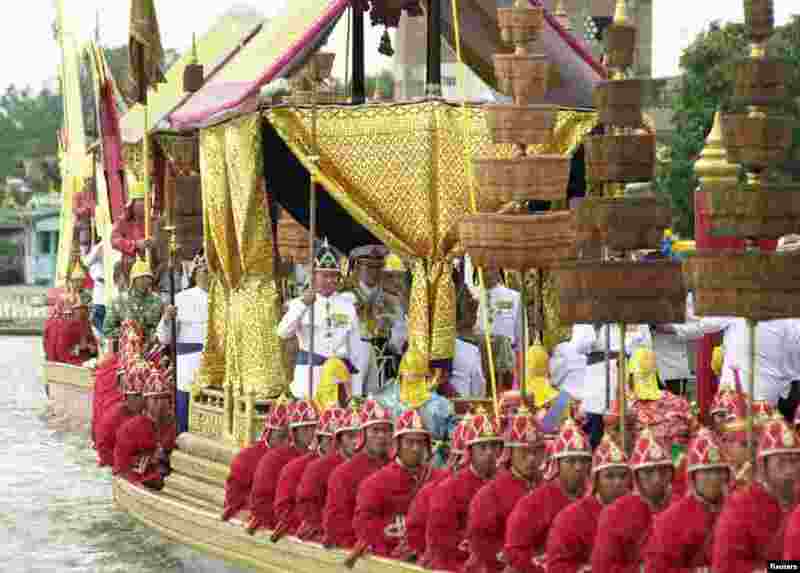 13 King Bhumibol Adulyadej (C) sits on the Royal Barge during the Royal Barge Procession on the Chao Phraya River in Bangkok, Nov. 4, 1999. 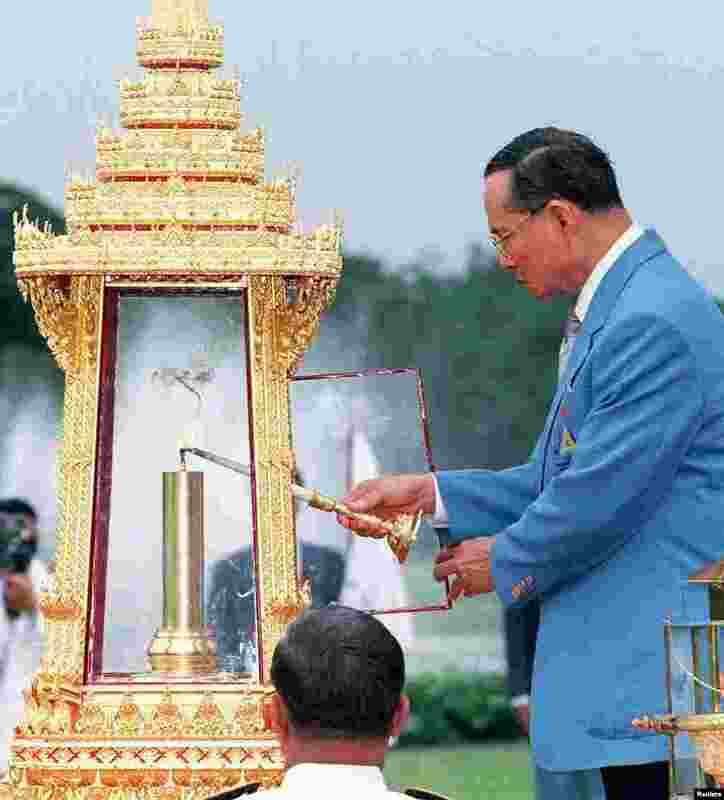 14 King Bhumibol lights the flame for the 13th Asian Games, Dec. 3, 1998, during a ceremony at Chitrlada Palace, the King's residence, during a ceremony three days prior to the start of the games. 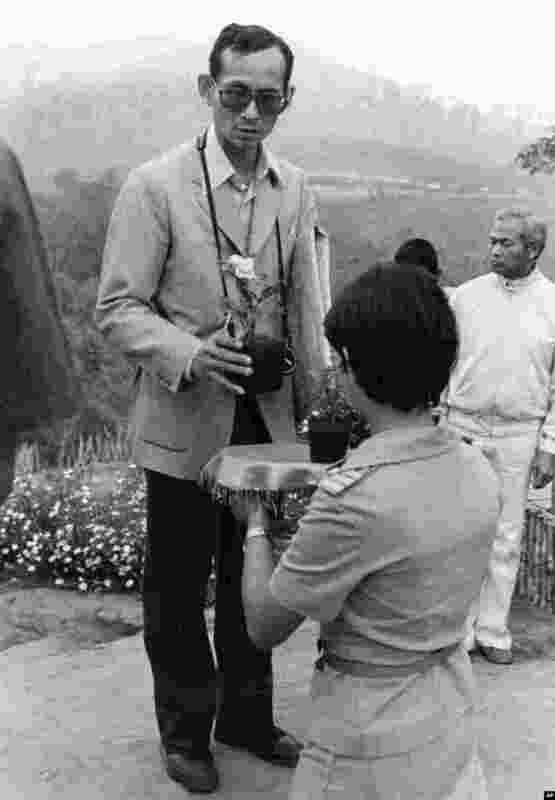 15 Thai King Bhumibol Adulyadej receives a small rose plant from a woman as he makes a visit to one of his crop substitution projects in Northern Thailand, Feb. 16, 1981. 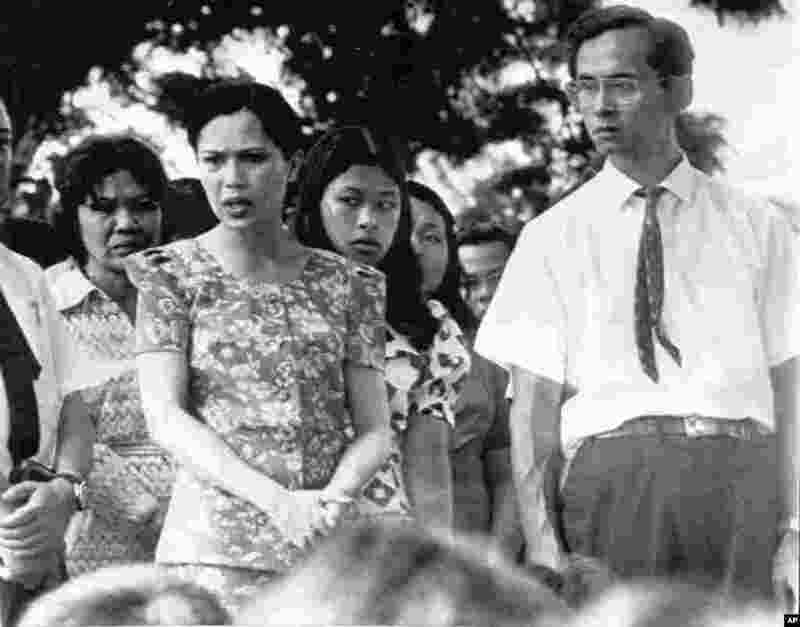 16 King Bhumibol Adulydej and Queen Sirikit (left) talked to 100 demonstrators in Bangkok, Oct. 15, 1973, during demonstration which resulted in fall of Thanom Kittikachorn government. 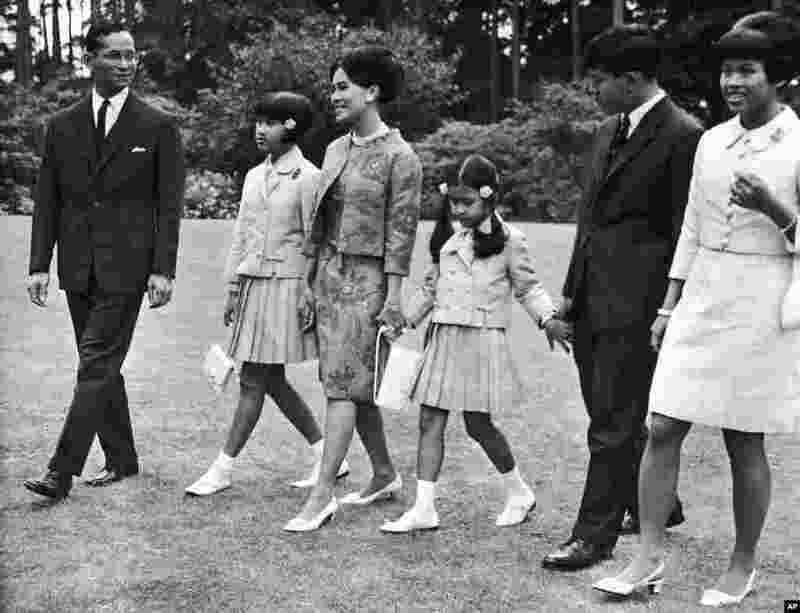 17 The Thi royal family walks through the garden of their residence at Sunninghill, Berkshire, United Kingdom where they are staying during their private visit to Britain, July 27, 1966. 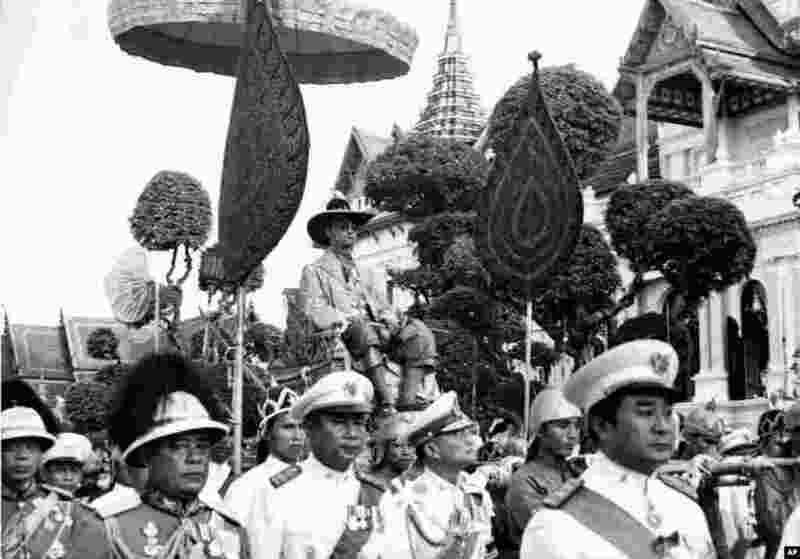 18 King Bhumibol Adulyadej is carried on the shoulders of Royal guards during a parade in Bangkok Dec. 7, 1963. The parade climaxed one week-long celebration of the King's 36th birthday. 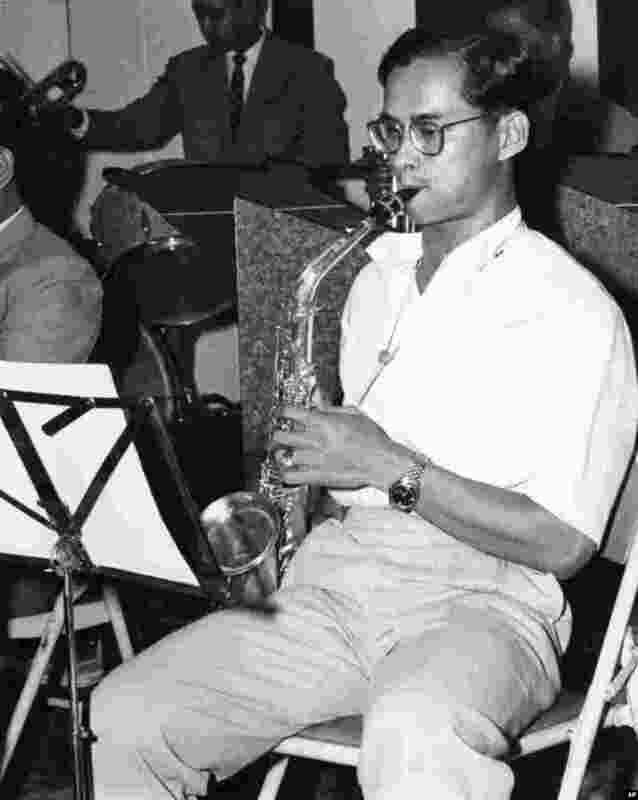 19 King Bhumibol Adulyadej clad in sports shirt and slacks, swings into a hot chorus on the alto sax with his 13-piece jazz band, Nov. 13, 1962. 20 Princess Ubol Ratana (diamond lotus) with her parents, King Bhumibol Adulyadej, 24, and Queen Sirikit, 19, May 2, 1951. 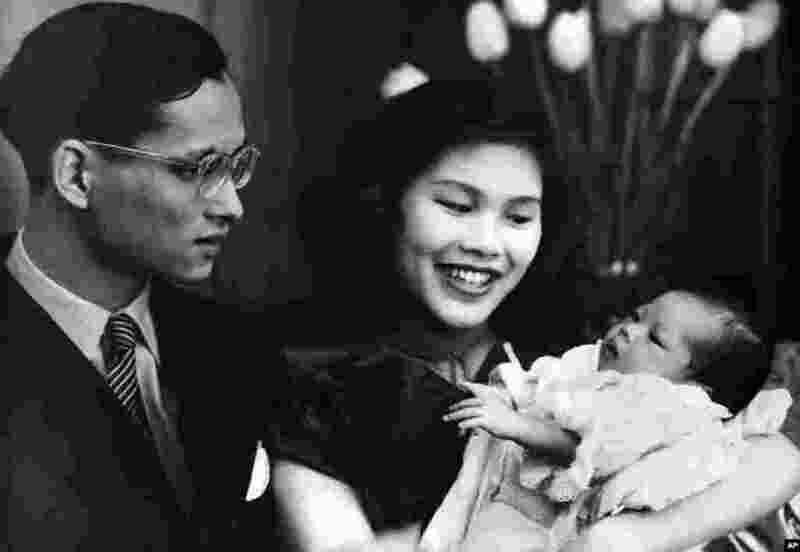 The Princess was born at Lausanne, Switzerland on April 6, eleven months after the marriage and coronation of her parents in Bangkok. 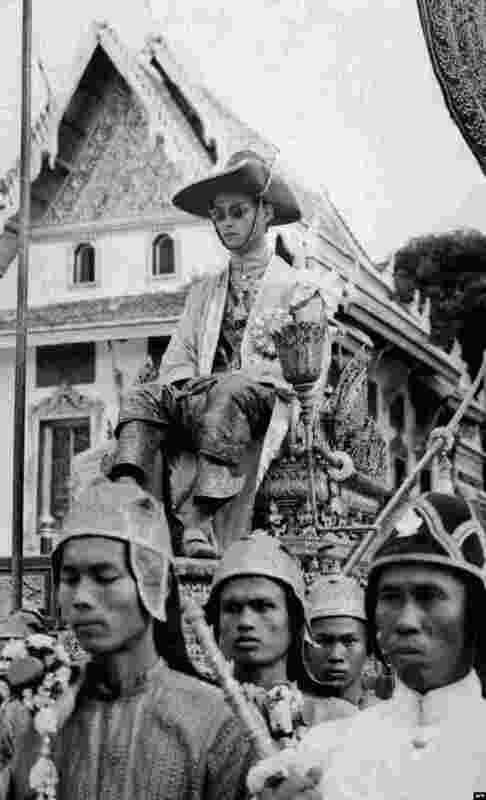 21 King Bhumibol Adulyadej of Thailand, Rama IX, is carried by a cortege during the Coronation ceremony, May 5, 1950. 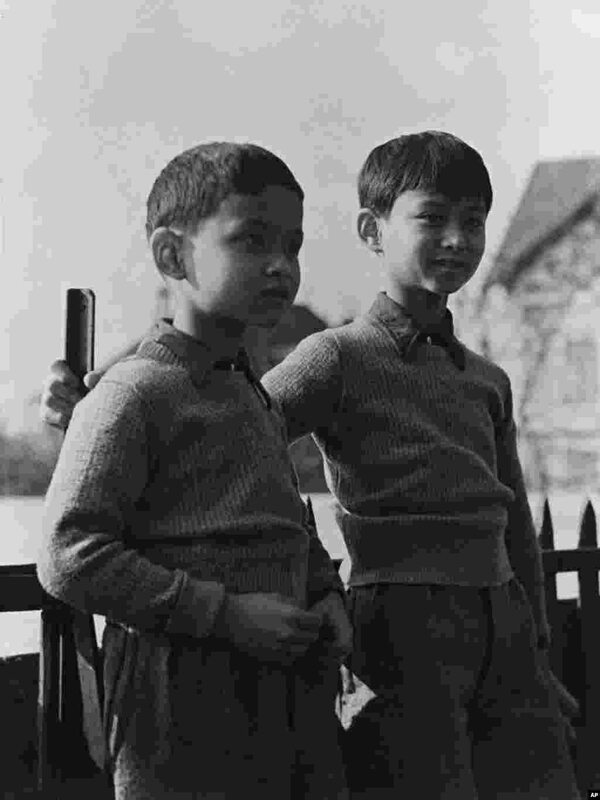 22 Thailand's Prince Bhumibol, left, now King Bhumibol Adulyadej, known as Rama IX, with his brother Prince Ananda, the former King Ananada Mahidol, in the grounds of the school in Lausanne Switzerland, on March 7, 1935.